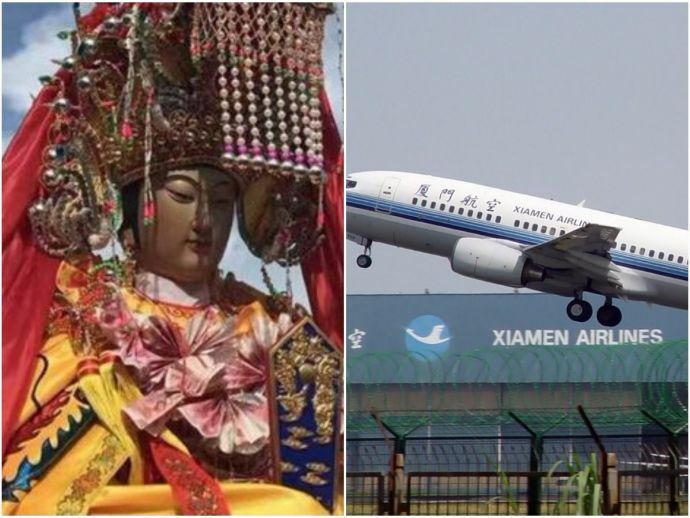 A flight that took off from Xiamen Gaoqi International Airport in China to Kuala Lumpur International Airport in Malaysia was the most blessed and holy flight ever, because the passenger list itself consisted of deities! 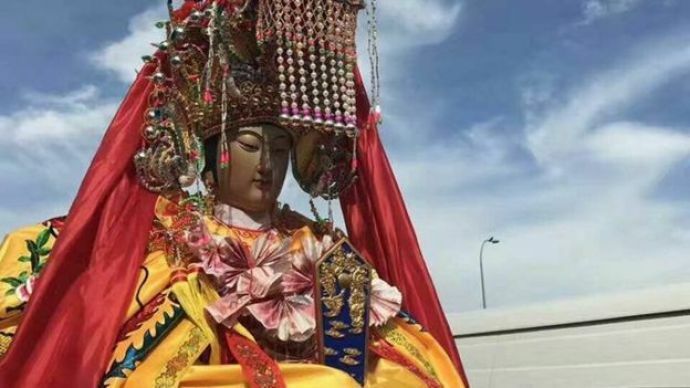 These exceptional onboard passengers were the Chinese sea goddess Mazu (Matsu) and her two deity-guardians, Qian Li Yan and Shun Feng Er. 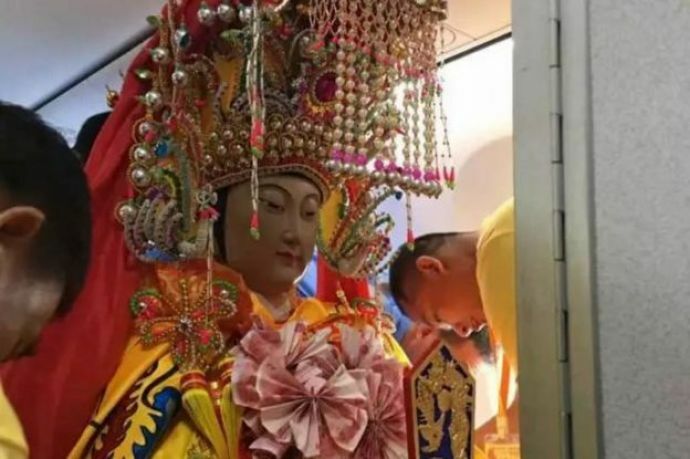 Under the China-Malaysia Mazu Cultural Exchange programme, these statues arrived at the Thean Hou Temple in Kuala Lumpur on July 1. 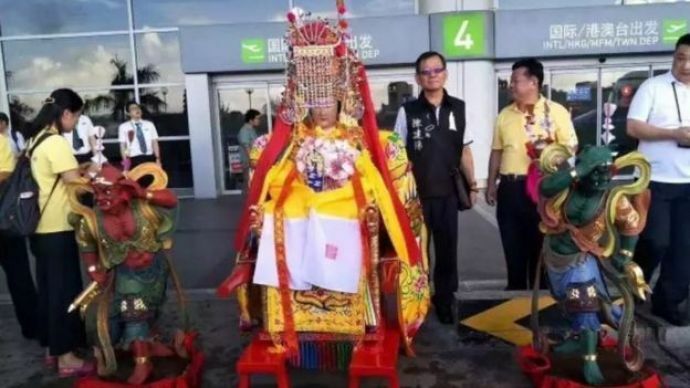 Images of these deities seated in the business class were posted on social media. According to the BBC, they were provided with their own "passports" and accompanied by a sizeable delegation of followers. 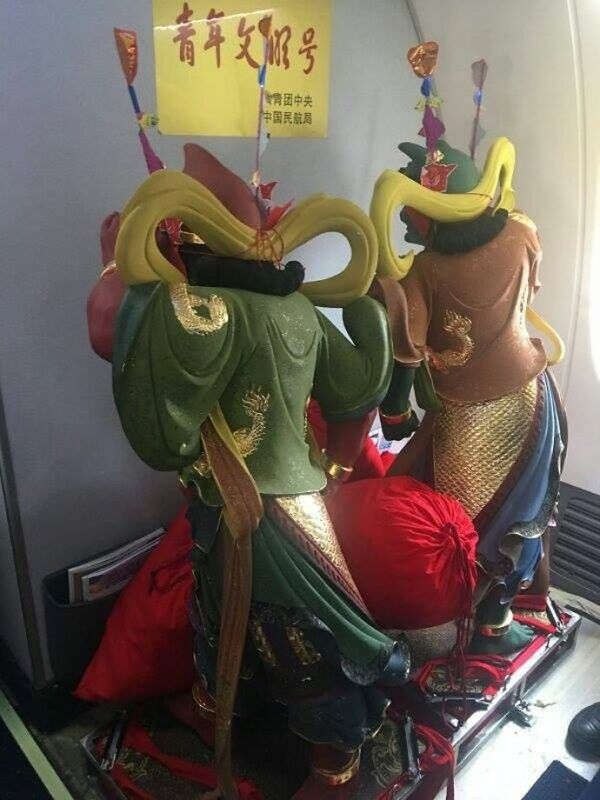 Apparently one of the transport organisers had reserved three business class seats for the statues, at a cost of at least 2000 RMB each. 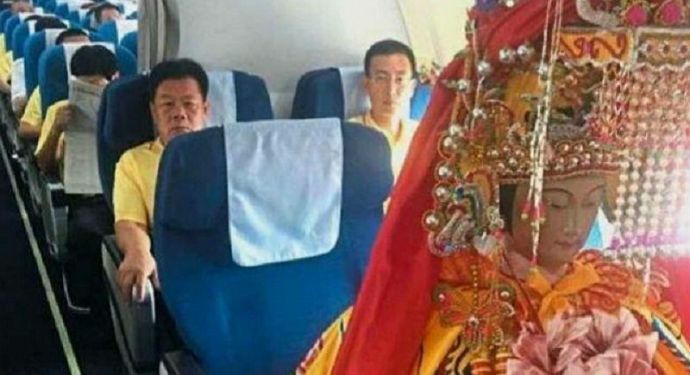 However, despite the limited legroom and odd glances from fellow travellers, passengers felt safe and protected during their trip.